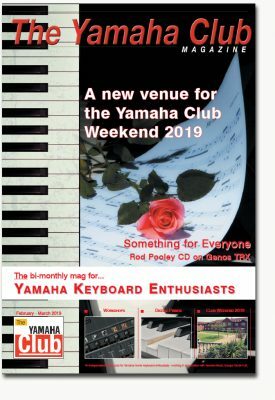 Welcome to the first edition of Yamaha Club Magazine 2019. Our full colour glossy magazine is published every two months and includes workshops compatible with Genos, Tyros and PSR-S keyboards and CVP Clavinova models. Our ‘Members Area‘, contains a wealth of material dating back many years. Subscribers should use the password given on page 4 of the magazine shown above to gain access to this area after 1st February 2019. The password is case sensitive so be sure to enter it exactly as shown. Getting Started with Genos: Part 8: A simple reader’s question about sustain led to a five page workshop on foot switches, assignable Live Controls and Voice Edit. The Music Chef – Genos: Our musical recipes this time are based on the music of Buddy Holly. Listen & View: Buddy Holly – Oh Boy! The Yamaha Club Weekend Picture Book: A selection of photos from our get-together at Hellidon Lakes last year. Penny Pieces: Part 2 of The Wedding March from Mendelssohn’s Midsummer Night’s Dream… arranged for keyboard by Penny Weedon. Download Penny Weedon’s own performance of the Wedding March from Midsummer Night’s Dream as published in her February/March 2019 workshop. Guide To Reading Music: In part 25 of her ‘Guide To Reading Music’ Gill Eccles recaps the topic of Key Signatures and re-visits the ‘circle of fifths’. 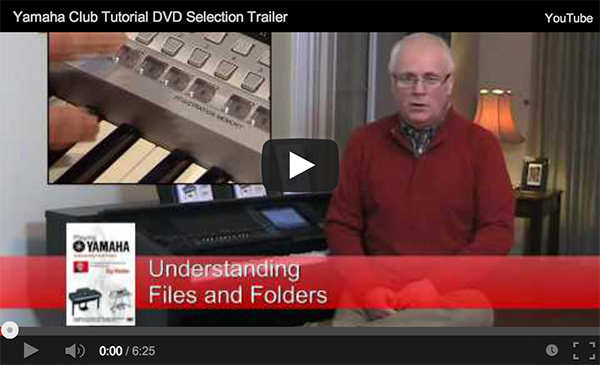 CVP – Up Close & Personal – Part 31: Richard Bower’s thoughts turn to holidays and portable alternatives to CVP. Tyros/PSR Workshop: Getting the balance right. Balancing the volume between the right and left hand parts of your keyboard. Tyros/PSR Workshop: Getting the balance right – Part 2. Implementing the Mixer/Mixing Console controls. The Registration Builder: No.1 – Theatre Organ (Theatre organ registrations with band/orchestral accompaniment). Instructions for creating Theatre Organ registrations for Slow Waltz, Rumba, Slow Foxtrot and Quickstep. Subscribers to Yamaha Club Magazine can email for a FREE copy of the full registration bank for these sounds (see magazine page 30). Welcome: A new venue for the Yamaha Club Weekend 2019. Take a look around the Mercure Daventry Court Hotel & Spa. CD Review: We review ‘Something for Everyone’ – Rod Pooley’s recent CD on Yamaha Genos (TRX System). The Club Shop – Buy and sell on our classified ads page.